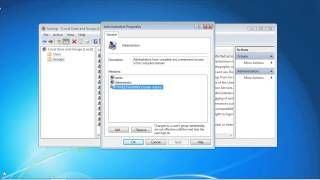 This video looks at how to install, upgrade and remove software using Group Policy. 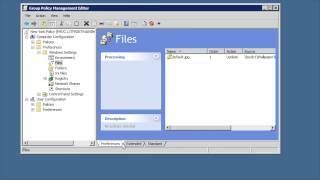 The video also looks at how to set up a software share to store the install files and how software can be assigned and published. 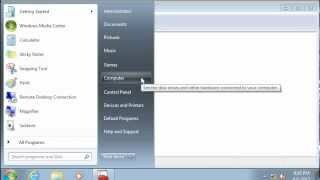 Before software is installed using Group Policy a test is done to see how fast the connection is. By default, if the connection is less than 500Kbps per second it will be considered slow. 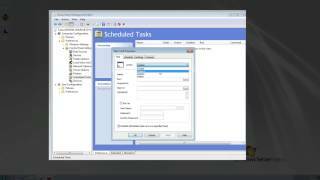 Group Policy will not install software over a slow link due to the time it would take to transfer the install files over the network. 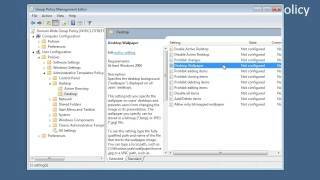 If you want to change the speed in which Group Policy tests for a slow link, this can be done at the following location. 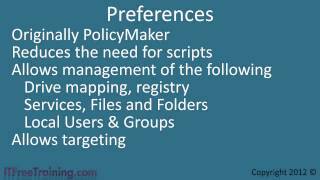 In order to install software using Group Policy, the install files must be able to be read by the computer applying the Group Policy. The install files can be on the local computer but it is generally easier to put them on a file share. To share a folder, open the properties for that folder and select the sharing tab. For installing software, you only need to ensure that the read access is configured. To set up a new software deployment. 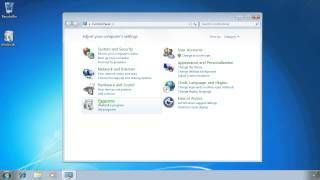 Right click Software Installation and select, "new package". A dialog will appear giving you the following options: published, assigned or advanced. Published will be greyed out for computer configuration. If you choose published, some options may not be changeable later on so it is recommenced to choose Advanced so all options can be changed later. 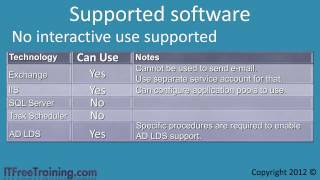 There are many options that can be configured in the properties for the software install some are listed below. Uninstall the application when it falls out of the scope of management: If this option is ticked, the software will be uninstalled automatically when the Group Policy is no longer being applied to that user or computer. 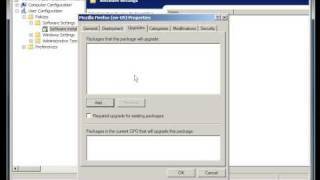 Upgrades tab: On this tab you can upgrade existing packages. If software has been published, it can be installed by opening Programs and Features in the control panel and then selecting the option, "install a program from the network". If you want to redeploy an application, this can be done by right clicking the application, selecting all tasks and then selecting the option, "Redeploy application". You can also remove the application from all tasks if you want to. If you remove the application, you will get the option to allow the users to continue using the package or to remove the package straight away. 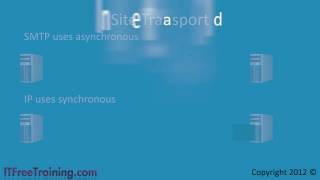 See http://YouTube.com/ITFreeTraining or http://itfreetraining.com for our always free training videos. This is only one video from the many free courses available on YouTube. 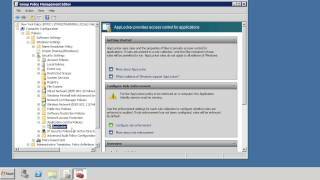 How to block USB with a GPO in a Windows Server 2008 Active Directory domain controller. http://www.technoblogical.com/windows-server-2008/ Providing training videos since last Tuesday http://www.technoblogical.com Thanks for watching! 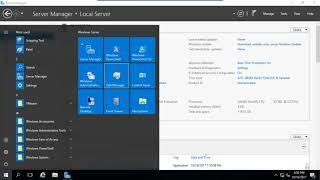 http://www.howtonetwork.com/courses/microsoft/microsoft-mcsa-windows-server-2012/ - taster lesson from our MCSA course. 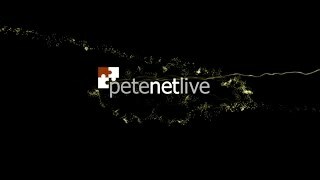 In diesem Tutorial weisen wir unseren Benutzern Software über eine GPO zu und verteilen außerdem ein Paket zur eigenständigen Installation. 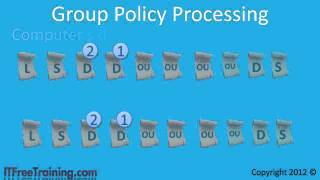 This is a video about how to install software through group policy. 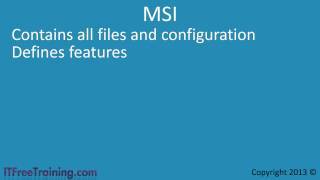 I install Firefox 3.0 through a MSI (Microsoft Installer Package) that is accessible through a local share. 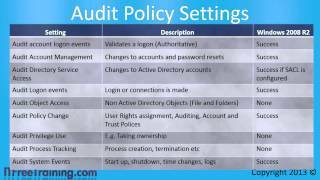 To do this it requires a GPO (group policy object) be applied on the domain (Server with active directory). 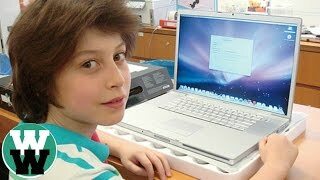 You may assign the program to specific users or computers so that it will be installed. You can also publish the software so that the user may decide to install the software. 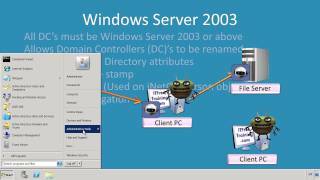 You can do this on Server 2008 domain controller and Windows 7, but it also available for 2003, 2000, XP, or Vista. Providing training videos since last Tuesday. http://www.technoblogical.com Thanks for watching. 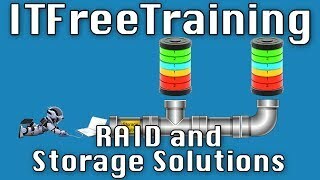 Check out http://YouTube.com/ITFreeTraining or http://itfreetraining.com for more of our always free training videos. 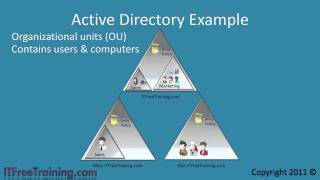 Global Catalog Servers contain a partial replica for every object in Active Directory. A Global Catalog Server is used to find objects in any domain in the forest. 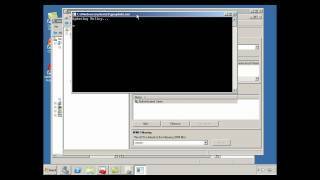 Any Domain Controller can be made into a Global Catalog Server. 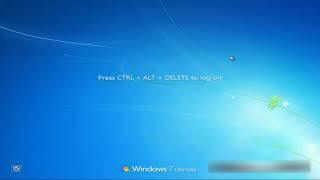 This video looks at how to remove or make a Domain Controller into a Global Catalog Server and also the reasons why and where you should put Global Catalog Servers. Global Catalog Servers are used to find objects in any domain in the forest but it should be remembered that this does not give the user access to that object. Unless the user has the correct permissions they will not be able to access resources in other domains. Global Catalog Servers also contain information about groups that span across domains and services that work at the forest level. 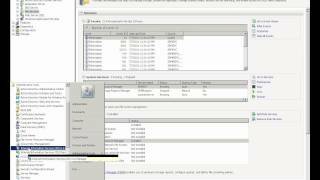 How to change a Domain Controller to a Global Catalog Server 04:18 Using the admin tool Active Directory Users and Computers to navigate to the computer account for your Domain Controller. By default this will be located in the Domain Controllers OU. Open the properties for the Domain Controller and select the button NTDS settings. Deselect or select the tickbox Global Catalog. Windows will do the rest. Reasons to deploy Global Catalog Servers Reason 1 Domain Controllers generate a security token for a user when they first login. If the user is in a group that spans multi--domains, that Domain Controller will need to contact a Global Catalog to get information about that group. Reason 2 If a user logs in using a Universal Principal Name (UPN), that is, they log in using a user name in the form of username@domainname, a Domain Controller will need to access a Global Catalog Server before the log in is completed. Reason 3 Global Catalog Servers work as an index to the forest. If you perform any searches on the forest you will need to contact a Global Catalog Server. Reason 4 Microsoft recommends that any network that is separated by a Wide Area Network have a Global Catalog Server deployed at that location. This will ensure that users can log on if the Wide Area Network is down. In order for a computer to contact a Global Catalog Server, ports 389 (LDAP) and 3267 (Global Catalog) need to be opened. If these ports are not open then the user will not be able to use the remote Global Catalog Server. Reason 5 Some software requires a Global Catalog Server in order to run. Exchange is a big user of the Global Catalog Server. If you have a decent amount of Exchange users on your network, you should consider deploying a Global Catalog Server close to these users. Reasons not to deploy a Global Catalog Server Global Catalog Servers put more load on the server in the form of searches and lookups from the client. Global Catalogs need to keep their index up to date. This requires more network bandwidth. In order to store the Global Catalog Server, you are required to have additional hard disk space on your server. There are a lot of time we want our computers on our network to run a certain task or maybe even a program at a given time. Instead of walking to each computer it is better to use your GPM and a GPO to push the task to each machine. 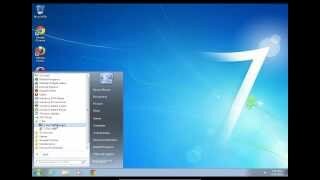 TO sign up for my online Windows Server 2008 R2 class visit: http://www.jackstechcorner.com and click on Online Classes. See you there! 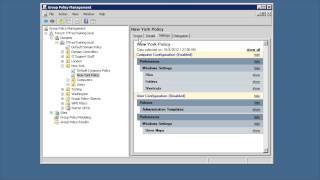 RE-UPLOADED: Windows Server 2008 R2 Sp1 Disk Quota Management; This Video demonstrates basic walkthrough with three types of disk quota management. 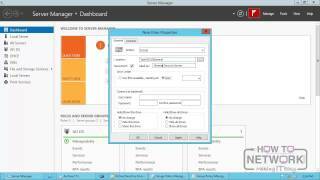 NTFS Disk Quota, FSRM Disk Quota and by Group Policy Management.